Dr. N.D. Bitting House. Dr. Bitting bought the lot in 1916 and had the house built. 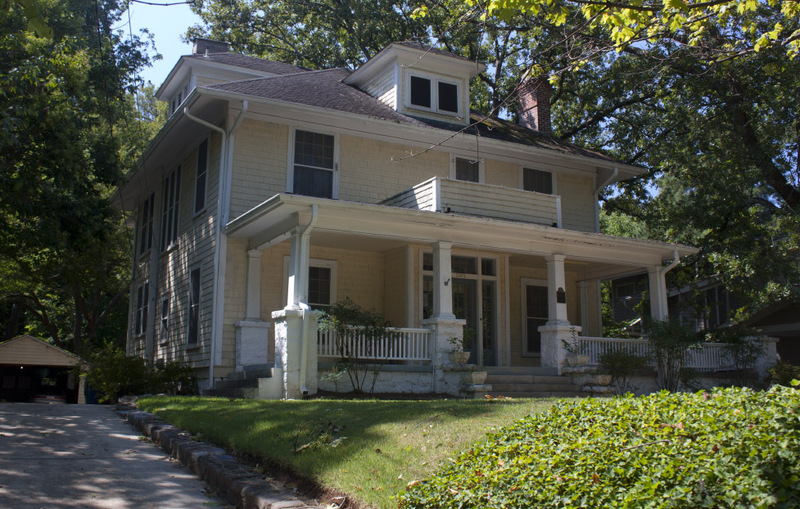 2-story hipped-roof Colonial Revival Prairie style house with front and side hip dormers, 12-over-1 sash windows, wood shake siding, and an exterior chimney. The porch has Craftsman posts, a plain railing. and a recessed balcony. The front French door has a transom and sidelights.